Shopping for Nightmare Before Christmas Holiday Decor? Deck the mantle with your favorite cartoon character! 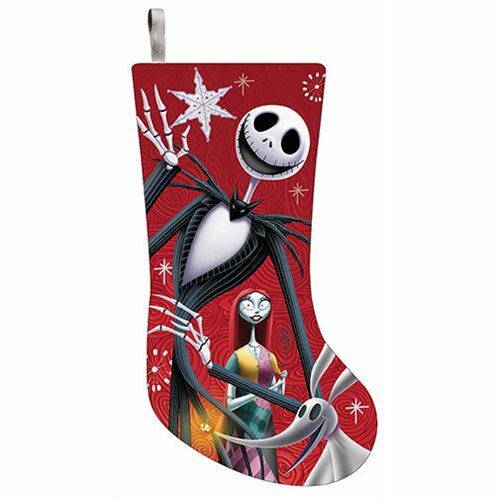 This The Nightmare Before Christmas 19-Inch Print Stocking features Tim Burton's iconic characters, Jack Skellington, Sally, and Zero on a red stocking. Made of polyester, it measures approximately 19-inches tall.